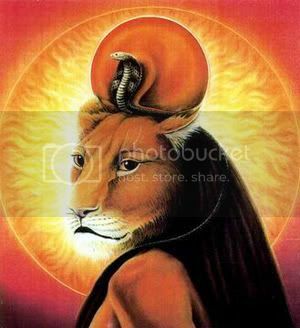 The Propitiation of Sekhmet 2017. A call for submissions from all those people who work with Hekate. 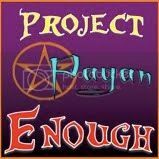 There’s a real problem in modern Pagandom, and that’s the lack of self-education that goes on. No, I’m not talking about reading up on the latest in ancient history and archaeology, nor even doing in-depth studies of Pagan-esque literature, nor anything else you might think. Let’s look at this in a different way. Say you want to learn about gardening. You stumble across a book you really like by an author and find out that they have five other books on gardening, too. So you read those, too. Do you know a lot about gardening or do you know a lot about one person’s views and experiences of gardening? Hint: it’s the second one. 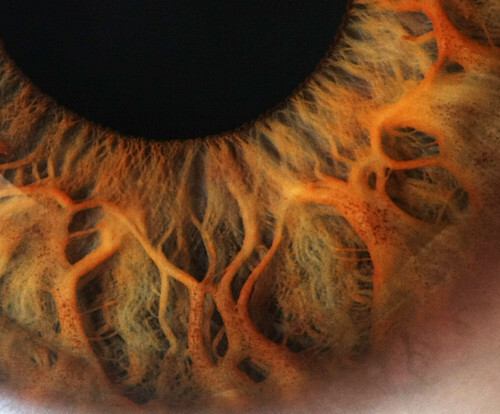 (transitive) To angle one’s eyes such that the foveae are directed at (an object in one’s field of view), the fovea being the portion of the retina responsible for sharp central vision. An excellent do-it-yourself for anyone interested! A menat is an interesting piece from Ancient Egypt. It was worn as a necklace (mainly as an amulet for protection) and was used as a percussion instrument. Contrary to how most people wear anything resembling a pendant, the menat was worn with the beads in the front (called the aegis, which means “shield”) and the pendant (called the counterpoise) was worn in the back. The menat was associated with a few goddesses, mostly Het-Hert. The menat was important enough of an instrument it was presented to Het-Hert as an offering. I love Pazuzu and have for years. Share my love. The more I dig into astral work, shadow work and crack in general, the more abstract my view on people (and all entities) becomes. My experiences have shown me that most, if not all of us have another “us” inside of ourselves. Sometimes this person looks just like us, sometimes they look entirely different. Sometimes we’re really good at hearing this person, other times we are completely oblivious. But generally speaking, this part of us is usually a lot more well adjusted and big picture oriented than we are. The Emotional Scale Isn’t Jiving With Reality. My emotional compass is out of whack. I don’t even really know how to phrase it beyond that. My emotions are not very much in tune with reality. I should be motivated, pleased, and at least quasi-happy. I have a lot of good things coming or have already come to pass. I have a job; I’m working. I have a good house husband; he cooks at least. My son is healthy and happy; he’s growing like a damn weed. All in all, I get the sense that my emotions should be more positive than they really are. Of course, not everything is perfect but to just catch a glimpse of what the rest of this year could, feasibly, bring only leaves me apathetic and irritated. Usually, though, my emotions are pretty blah, boring. I’m unmotivated to do anything. In fact, I feel rather old and angsty a lot of the time. My emotional scale isn’t jiving with reality. The religious shenanigans of a confused, uncertain polytheistic servant. 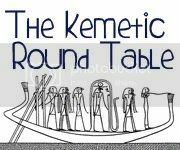 The Kemetic Round Table (KRT) is a blogging project aimed at providing practical, useful information for modern Kemetic religious practitioners.